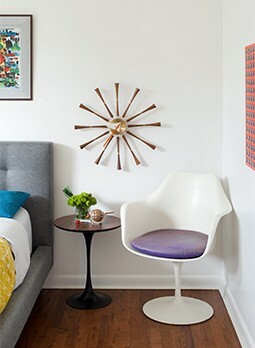 After living in the home for three years, they brought in architect Risa Boyer to collaborate on a major renovation of their split-level Midcentury Modern house. “The hallway felt like a railroad apartment or a shotgun down in New Orleans,” says Beth. The original floor plan had the kitchen and dining room at one end of the home and the living room at the other. The large bedroom that separated both spaces blocked light from coming in and made entertaining nearly impossible. 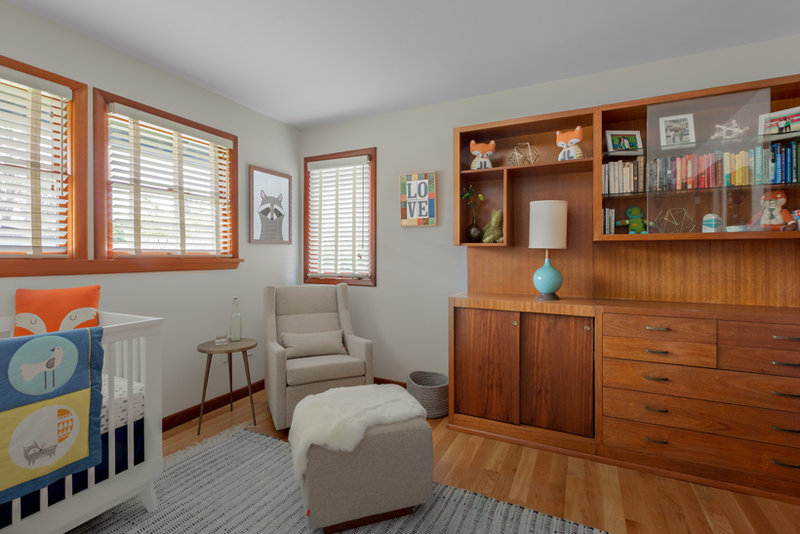 The six-month makeover involved building a new kitchen and dining area next to the living room and converting the original rooms at the north end of the house into a nursery and den. 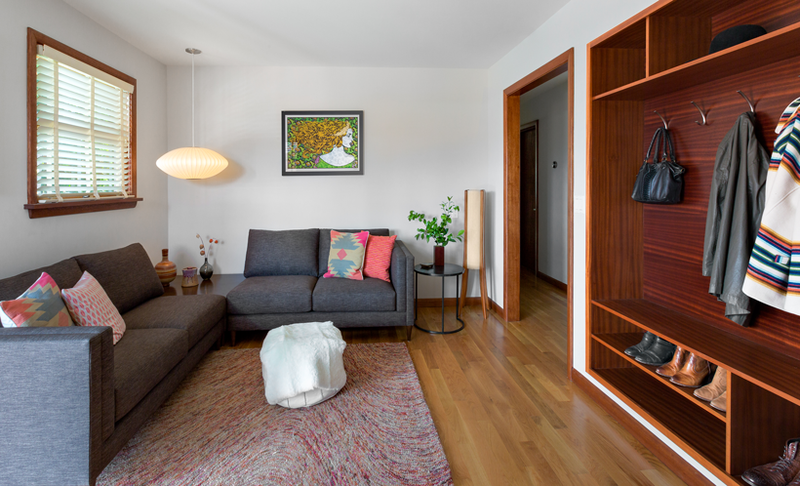 White oak floors, walnut cabinetry, and vintage furnishings throughout the main level hearken back to the home’s midcentury roots while creating a clean and bright living space.